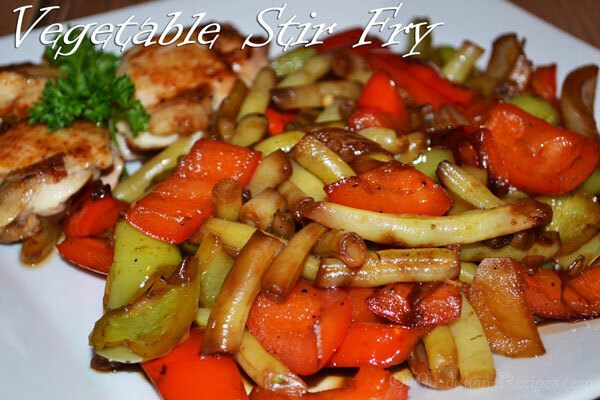 Stir-fries is an easy way to get dinner on the table fast with minimal cleanup. 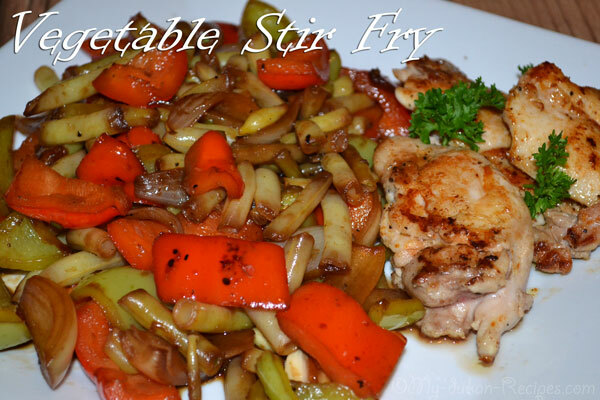 You can add different types of vegetable. The secret to good stir frying is not to put too much in the wok at the one time, if you do, the vegetables will sweat instead of frying. In a wok or large skillet, heat the olive oil over high heat until almost smoking. 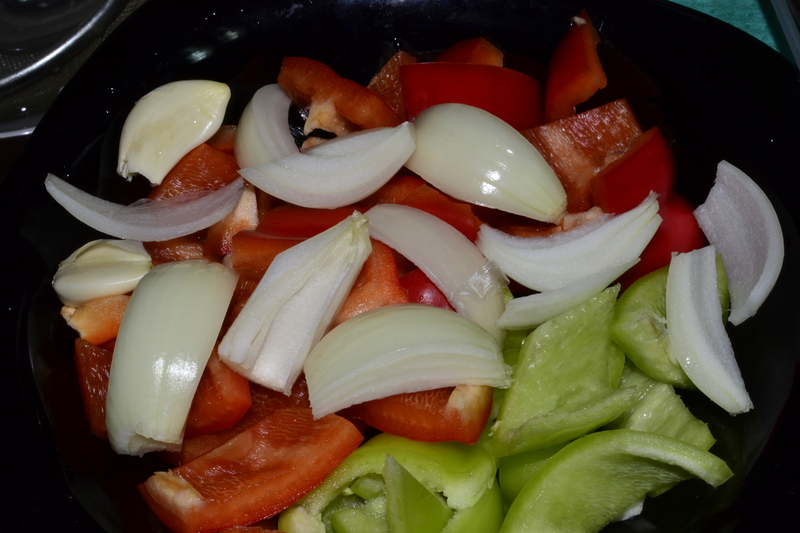 Add the peppers and onion while stirring constantly. While continuing to stir, add successively the green bean, garlic and soya sauce. Cook, stirring, constantly for 2 minutes. Add pepper, and salt and cook, stirring, until crisp-tender, about 2 minutes more. At the end you can add the vinegar (optional). Serve immediately with grilled chicken.